Vista 200 with compact, slimline active subwoofer delivers a significant sonic upgrade despite its low-profile design and thoroughly modest price tag. 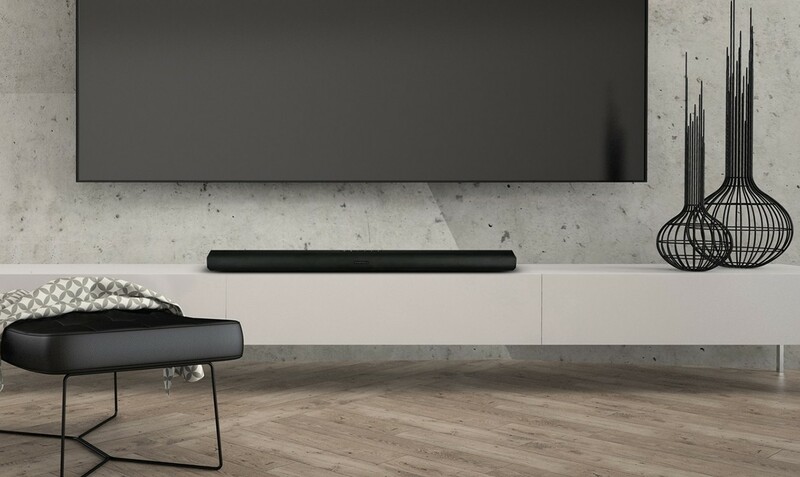 Wharfedale Vista 200S bundles the same Vista 200 soundbar with a compact, slimline active subwoofer. It packs in a 165mm driver and 60W amplification. 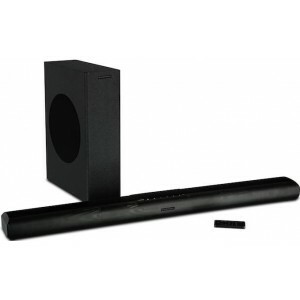 The subwoofer connects to the soundbar wirelessly so there is no trailing cables. Bass levels are adjustable via the supplied remote control. 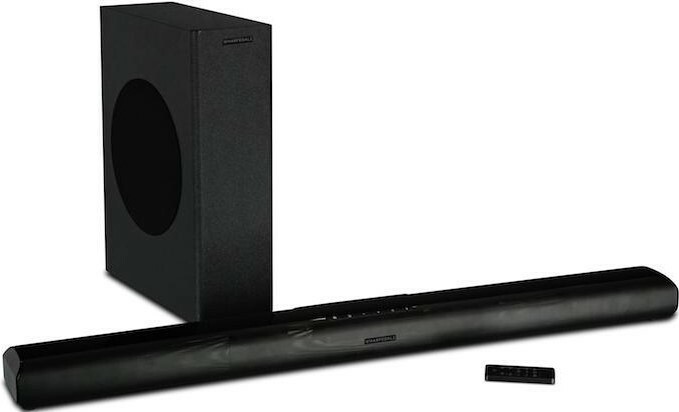 Nestling behind the metal speaker grille is a pair of high-quality dynamic driver assemblies, positioned at either end of the soundbar’s length to ensure spacious stereo sound and augmented by two reflex ports to aid bass response. These drivers are powered by 2x30W stereo amplification, producing a sound that is crisply detailed yet tonally rich – a powerful, highly intelligible delivery that ensures voices are clear, sound effects are impactful, and music is full-bodied and engaging. In addition, three equaliser settings labelled ‘Movie’, ‘Music’ and ‘News’ provide a degree of sonic tailoring to suit whatever the user is watching or listening to. Connecting the Vista 200 to a TV is simple. There are three digital inputs: HDMI (ARC), optical and coaxial. There is also a 3.5mm analogue input, which means you can connect a TV (or an audio device) via an RCA or headphone output.